The impact of a disaster can exacerbate existing societal problems to an unmanageable level. 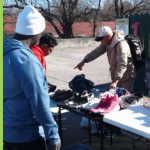 Those who are already homeless, or otherwise in need, often face even more challenges immediately following a disaster, coupled with a drastic increase in the competition for resources and shelter. This is currently the case in many parts of California, where massive and devastating wildfires have pushed a homeless epidemic to the breaking point with the sudden increase in those needing aid. While families are typically one of the most visible populations in need post-disaster, it can be easy to overlook a group that does not have a voice of its own: children. 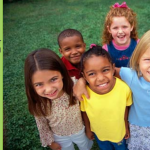 In the wake of the recent wildfires, homeless and children’s shelters have seen a huge increase in children in need of foster care. Tragically, many children lost both their parents and their homes while the fires also destroyed children’s shelters, transition homes and resource centers. 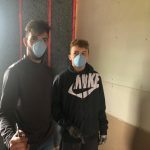 Although they were active with children before the disasters struck, Youth and Family Programs has been especially active since the fall of 2018. Although the organization’s resources have been pushed to the limit, their resolve has not. They continue to be a tireless advocate of children without homes, even when those homes were lost in what would be considered nontraditional ways. Good360 has also been active in our support to regions affected by the Carr and Camp Fires. As an organization, we recognize the importance of long-term disaster recovery and resilience building. We may not be able to prevent the next disaster, but we will be there to help mitigate its effects. 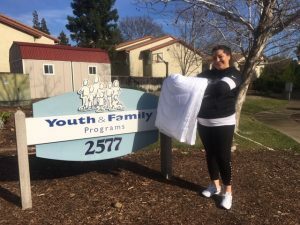 Recently, Good360 was able to connect with Youth and Family Programs to provide 50 Buffy comforters to children affected by the Carr fire. Buffy, a company local to the impacted area, was referred to Good360 by Flexport, our long-time shipping partner. Flexport knew what kinds of goods were needed for disaster recovery efforts, and Buffy recognized that their product could impact recovery efforts in a meaningful way. 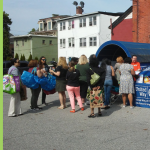 Youth and Family Programs donated these comforters to five foster and youth transition homes that lost everything to the wildfires. Due to the lack of insurance, these establishments were only able to restore the basics to survivors. Since the comforters arrived just before Christmas, they restored some hope to the children who received them. Good360 continues to be encouraged by the collaborative work that we can do with companies like Buffy and Flexport. 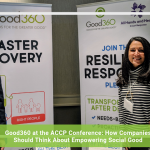 With the help of companies like them, Good360 will be able to continue providing appropriate, necessary goods to organizations like Youth and Family Programs, who are in it for the long haul.